Richard Garrett has been asked to contribute a number of generative music pieces to this year’s Ars Electronica Festival in Linz, Austria. This festival of art, technology and society, entitled CODE – the Language of Our Time, will run from 6th to 11th September. During this time, Richard’s music will feature as part of a ninety-six hour outdoor exhibit entitled Dark Symphony, to be broadcast across a 160,000 Watt PA system in Linz’s Klangpark on the banks of the Danube. Brian Eno (UK), Paul Cohen (AUSTRALIA), Tim Cole (UK), Tim Didymus (UK), Andrew Garton (AUSTRALIA), Richard Garrett (UK), Michael Hagleitner (AUSTRIA), Mark Harrop (UK), Al Jolley (UK), Yoshio Machida (JAPAN), Kelvin L. Smith (UK), Emilia Telese (ITALY), Mashashi Genzan Yano (JAPAN) and Steve Grainger (UK). If things go to plan, Richard will be there to check it out himself! There are movies of Dark Symphony in 5.1 surround on Vimeo here. An instrumental version of a moralising carol popular among travelling people in the West Midlands of England about a century ago. The tune dates from before the sixteenth century but this version is inspired by the singing of Elaine Waterson on the album Frost and Fire (Topic Records 1965). 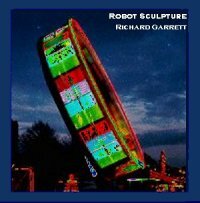 Richard recorded this track in December 2002 as a greeting to friends and relations around the world and as a thank you to all the people who have been kind enough to buy, broadcast and review his music in the past year. Happy Solstice! In February 2002, Richard did some guitar playing on a new track by Yorkshire based Uncertain Music Corps. The track started off as a piece of Koan Music which Mark Harrop provided as a guide track. To this, Richard added a number of guitar parts which Mark then arranged to taste. 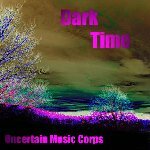 You can hear it on the UMCorps’ MP3.com page (link now expired).